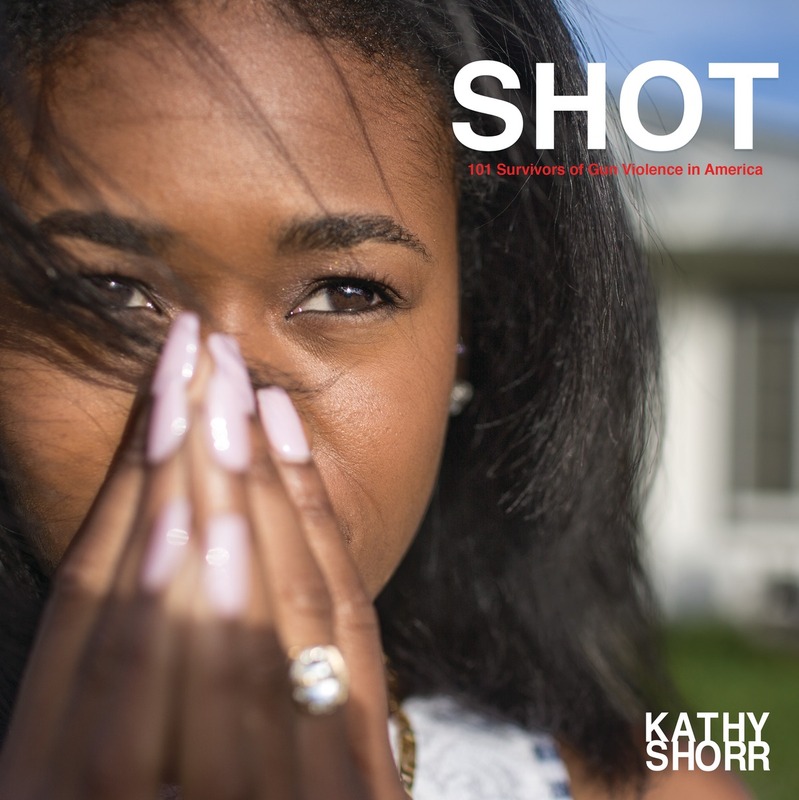 Join us for a book discussion and signing for powerHouse Books SHOT: 101 Survivors of Gun Violence in America by photographer Kathy Shorr in conversation with Lyle Rexer. The increasing ubiquity of gun violence has become the norm across the world and particularly in the United States, where we have begun to hear horror after horror on a daily basis. So much so that it has started to produce a numbing effect, a helplessness that allows us to hear the news and say, “Here we go again,” and put it out of our mind. Gun violence is now something we expect to happen. SHOT is about people who have been shot and survived the experience. It portrays 101 survivors, aged 8 to 80, from all races and many ethnicities. They are the representatives of “survivorhood.” Most were photographed in the location where they were shot. SHOT allows us to explore a dialogue about gun violence and how we are all vulnerable. Kathy Shorr was born in Brooklyn, New York. Her work crosses the borders of documentary, portraiture, and street photography. She received her undergraduate degree in photography from The School of Visual Arts and has an Masters in Education, earned while working as a New York City Teaching Fellow in public schools in crisis. Her work has been shown in galleries in New York City, Houston, and Los Angeles and was featured at the celebrated Visa pour l’Image in Perpignan, France. She lives and works in New York City. Lyle Rexer is a critic, curator and educator. He is the author of several books, including The Drawings of the Electric Pencil (2011), The Edge of Vision: The Rise of Abstraction in Photography (2009); How to Look at Outsider Art (2005); and Jonathan Lerman: The Drawings of an Artist with Autism (2002). In addition to his book projects, Lyle Rexer has published many catalogue and monograph essays dealing with photography, contemporary artists and collections and contributes articles on art, architecture, photography and culture to a variety of publications, including The New York Times, Art in America, Aperture, DAMn, Metropolis, Modern Painters, Parkett, Tate, etc., and Raw Vision. As a curator, he has organized exhibitions in the United States and internationally. He has lectured at major institutions around the world, including the Metropolitan Museum of Art, the Whitney Museum of American Art, Yale University, the Alvar Aalto University, and the National University of Colombia. He teaches in the graduate program in photography, video and related media at the School of Visual Arts (New York) and is a columnist for Photograph magazine.